AT&T has taken the wraps off of the Smart Wi-Fi Extender, a device that is designed to enable a stronger Wi-Fi signal throughout homes in which a connection may prove troublesome without it. 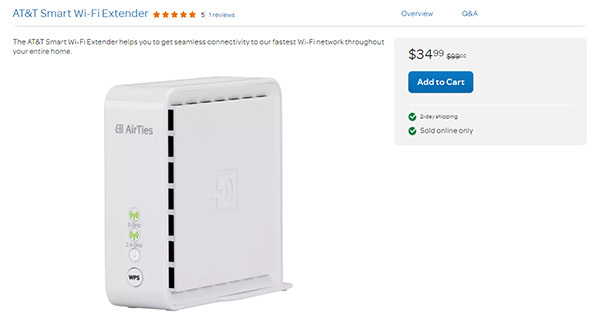 Designed for customers of its internet subscription, the one-box solution is intended to allow people to move throughout their homes without the concern of their internet connection failing due to poor Wi-Fi reception. 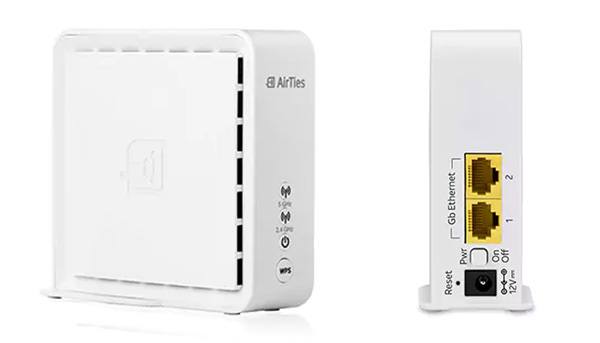 The box is specifically for customers who have Wi-Fi gateways 5268AC or BGW210, and can apparently boost coverage to up to 1,000 square feet while also reducing network congestion. According to AT&T, its new box of tricks automatically chooses the “best and fastest available connection” for each specific device that connects to it, theoretically providing the very best connection each and every time one is established. Unfortunately, this comes at a cost, though, with each Smart Wi-Fi extender costing $34.99, although AT&T does claim that mesh systems with similar features in the market cost considerably more. Under the hood, the white and rather boring looking box features a 1600Mbps dual-band configuration with both 802.11ac and 802.11n taken care of. The whole thing can obviously connect to an existing AT&T setup and then be managed via the Smart Home Manager mobile app for those who like to get their hands dirty.